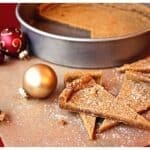 If you like simple and delicious, sweet and ginger spicy, and utterly addictive goodness…you need to get out the ingredients for Rachel’s Spicy Christmas Shortbread right now! Our friend Rachel brought these beautiful wedges to a Christmas potluck last year. And her plate was the one I couldn’t help returning to again and again. It kept calling to me. And I kept answering. 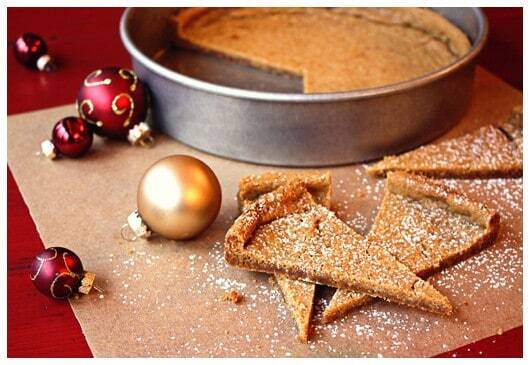 The shortbread is beautifully scented with brown sugar, orange peel, and warm spices. But the sweet innocence is broken with your first bite, when the incredible zing of ginger hits your taste buds. It’s a fabulous spicy surprise. 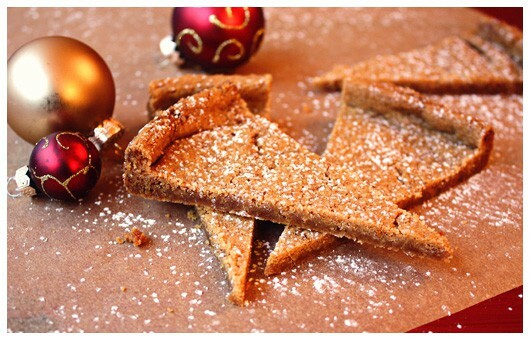 Rachel’s Spicy Christmas Shortbread would make a most lovely addition to your holiday goodie platter. If you like a little zing, that is! Preheat oven to 325°. Spray two 8” or 9” round cake pans or pie pans with cooking spray. Set aside. Beat butter and sugar in large bowl until light and fluffy. In separate medium bowl, whisk together the flour, orange peel, ginger, cinnamon, cloves, baking soda and salt. Add dry ingredients to the butter and sugar mixture. Mix just until evenly incorporated. Divide dough in half and gently press one half into each pan. Bake for 20 to 25 minutes, until beautifully golden. Cool completely on wire rack, then cut into wedges and dust with powdered sugar before serving. From the recipe box of Rachel Symmank, originally from her friend Kerry Freier.